If you have suggestions on what can be better…. Leave a little message here, and I will definitely get back to you before you could say – Ramblings of a Feisty Spirit! Great to see you back… Will get to your posts soon! No i have no good news! Some really interesting travelogues you got there. 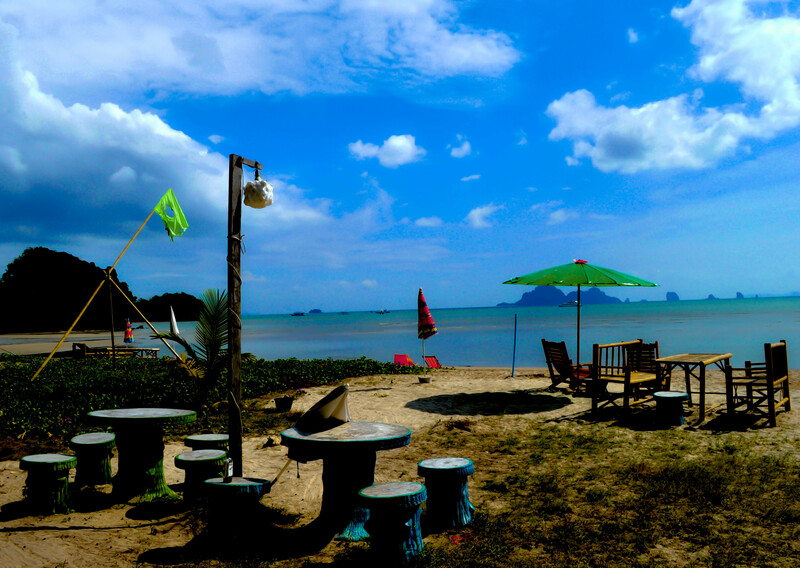 Nice writeup and pics on Krabi in particular. Grassroutes would like to give you a free weekend trip to a village for your readers. Please send us your email/ contact numbers so we can get in touch with you for the same. ps. We would love to invite you to TheDepartureboard’s Most Travelled Club, details here: http://www.thedepartureboard.com/can-you-become-thedepartureboards-most-travelled-you-might-win-prizes A great opportunity to promote your site as well! Thank you so much for the invite. Would love to be part of the Most Travelled Club.. 🙂 I will check the details right away! Hi love your review of antiques in London. There is another one in London – Northcote Road Antiques Market – http://www.northcoteroadantiques.co.uk It’s 30 dealers and recently featured on BBC Antiques Road Trip with Anita Manning. Dear Tanu! We are running a Pride of MP campaign.Would like to know if you are interested in the collaboration. Hi Aditya, my email address is anand dot tanu at gmail dot com. I’m from Frankly.me, a mobile app that specializes in helping brand engage with its audience through video selfies. Currently, our app is being used by celebrities such as Arvind Kejriwal, Kiran Bedi, Javed Akhtar to reach out to their followers. We have a free digital tool for your blog, which could help its writer engage with their readers, and followers, besides generating free video content for your website. Let me know how and when can I take it forward with you/anyone from your digital team. Allow me to introduce myself, my name is Shraddha , I handle the ad operations for our advertising network Httpool. We are a cross channel advertising network empowering agencies to efficiently execute digital campaigns across display, video, engagement, social and performance channels, both on mobile and desktop devices.You can find more about us on our website http://www.httpool.com. This is regards to the Online Advertising Requirements for our upcoming food and health blogs campaign. The product falls under the Healthy food category. We wish to know the rate per blog, the number of impressions and reach that we can expect. Appreciate if you could get back to us with the details and provide your media kit too. I write a twice-weekly blog about London from a cabbie’s point of view. Can I publish your collage of Bermondsey Market for a piece I’m doing about market overt? I would, of course, give full attribution. Hi there. Of course, please go ahead. I am sorry about the super late response. It has been a bit of a lull time on my blog. I hope this is still relevant. Thank you for thinking of my blog piece.